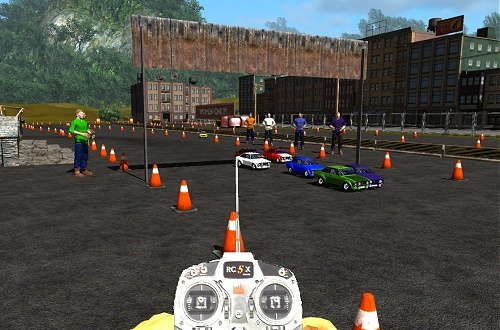 You can drive with RC cars, trucks, bus, kart, buggy, monstertruck, boats, ships and also there are planes and bombers, helicopters and drones. Also there's a rocket base to shoot model rockets into the sky. There are several different races and competitions like jumps or fly a plane through rings of fire. 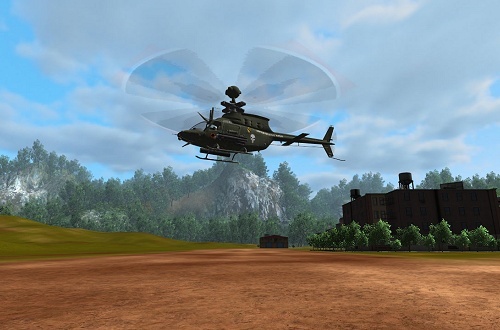 In the police mission you have to crash the opponent cars or escape as a bankrobber from the police. The fire brigade must extinguish several fires as fast as possible. But it's also very nice to just drive around and make stunts and drifts in the 'free drive'. World Records (best rounds, fastest jumps) get saved online. Each vehicle has an onboard camera so you can drive or fly where ever you want (in the radius of the transmitter). 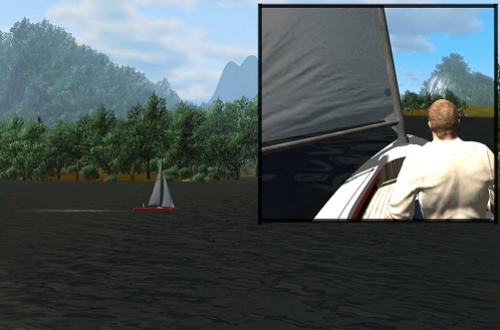 The camera can be toggled on and off or switched to a 3rd person view on the vehicle. It's easy to use and you just need 5 keys to play the game: W,A,S,D or cursor keys to drive and E to enter/exit a vehicle! To fly a plane you additionally use the mouse. 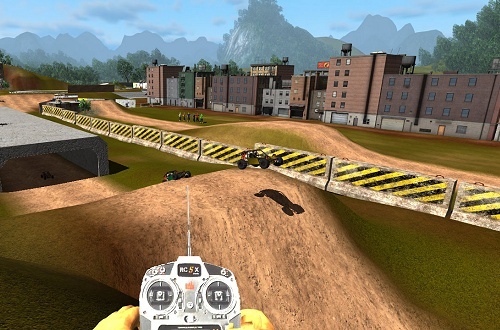 Alternatively, you can also control the vehicles with the controller, but due to the enormous number of different controllers and joysticks there is no compatibility guarantee! There are more keys for additional functions like horn, light, flip a vehicle, toggle the camera and some others and you can easily learn these keys by pressing F1.